A composite metal foam has been created that literally turns a bullet into dust, including the most powerful armour-piercing bullets, a group of researchers from North Carolina State University report. This foam is much lighter than metal plating and has great potential for use in the creation of new types of vehicle and body armour, as well as space exploration and the transportation of nuclear waste. 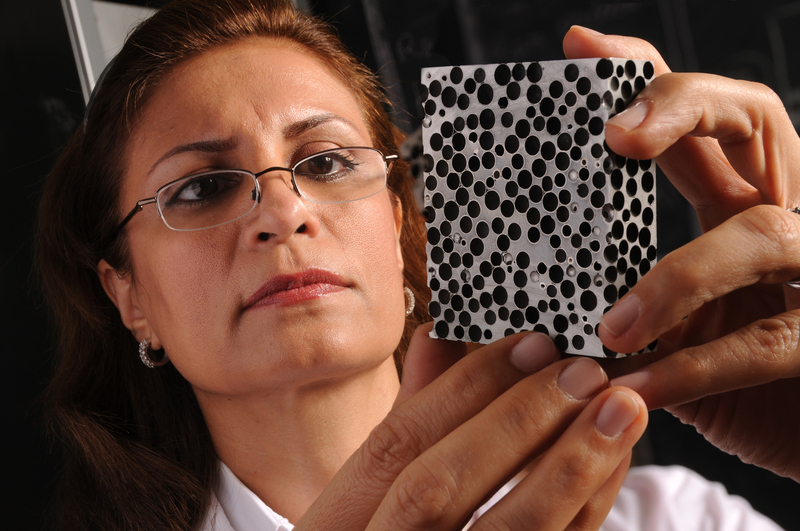 Afsaneh Rabie, a professor of Mechanical and Aerospace Engineering, has spent several years developing composite metal foams (CMFs). In a video published in YouTube (bottom of page), a composite armour made out of Prof. Rabiei’s composite metal foams is used. What is Composite Metal Foam? 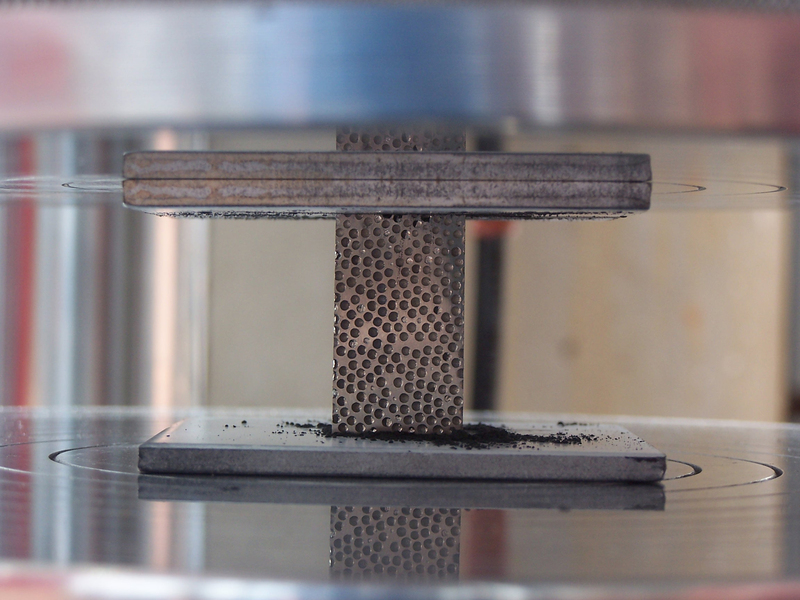 Composite metal foams are formed from hollow beads of one metal within a solid matrix of another. The have been shown to have five to six time greater strength-to-density ratios and more than 7 times higher energy absorption than single metal foams. A powerful bullet – a 7.62 x 63 millimeter M2 armor piercing projectile – was used in the video demonstration. It was fired according to National Institute of Justice testing procedures. The results were astounding. “To put that in context, the NIJ standard allows up to 44 millimeters indentation in the back of an armor.” The results of that study were published in the journal Composite Structures in July 2015. There are several different applications, the researchers explain, that require a material to be more than just ultra-strong and super-light. For example, applications from shipping nuclear waste to space exploration require a material to be both light and strong, and also capable of withstanding very high temperatures and blocking radiation. In 2015, with support from the Department of Energy’s Office of Nuclear Energy, Prof. Rabiei showed that composite metal foams are extremely effective at shielding X-rays, neutron radiation and gamma rays. Last month, Prof. Rabiei published work demonstrating that the team’s metal foams handle fire and heat twice as effectively as the plain metals they are made of. Composite metal foams are super tough. Tough enough to turn an armor-piercing bullet into dust on contact. Given that these foams are also lighter than metal plate, the material has obvious implications for creating new types of body and vehicle armor.